Last week, 51.9 per cent of people voted for Britain to leave the European Union. And while the result has sent the world into shock, some Leave voters want to make one thing clear: most of them only voted Britain out of the EU to get rid of immigrants. More than a hundred incidents of racial abuse and hate crime from Leave voters have been reported, and it’s being documented all over social media. Under the hashtag #PostRefRacism, people are sharing their experiences with post EU Referendum racism and it’s truly terrifying. This is the video taken by someone else of the same incident below. I still remain hopeful, as I have had the honour to stand in solidarity against all injustice with many many more. The result of the EU referendum has seen an increase in anti-immigration rhetoric, and it’s truly terrifying. For people who claimed to have voted Leave so that they could ‘have Britain back’ and ‘make Britain better again’, their racist remarks prove that they are only making the country worse. Admitting that he voted Leave ‘to stop Muslims coming into the EU’. It’s all about immigration. It’s not about trade or Europe or anything like that, it’s all about immigration. It’s to stop Muslims coming into this country. Simple as that. Sarah Childs is one of the creators of a Facebook page documenting the alleged incidents. While not all Leave voters voted for the same reason – and many do not have a problem with immigration, it’s worrying that even a small percentage of them have brought on this example of post-Brexit racism. 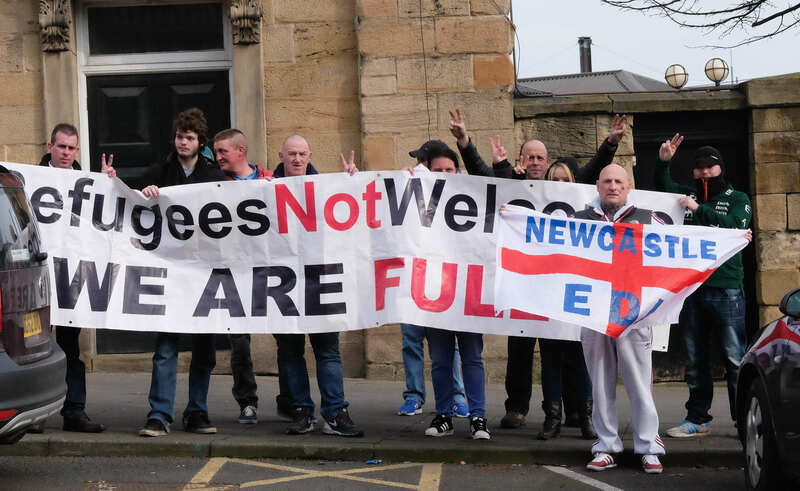 If this is what the new Britain is going to be like, I’m not sure many of us will want to stay – immigrant or not.